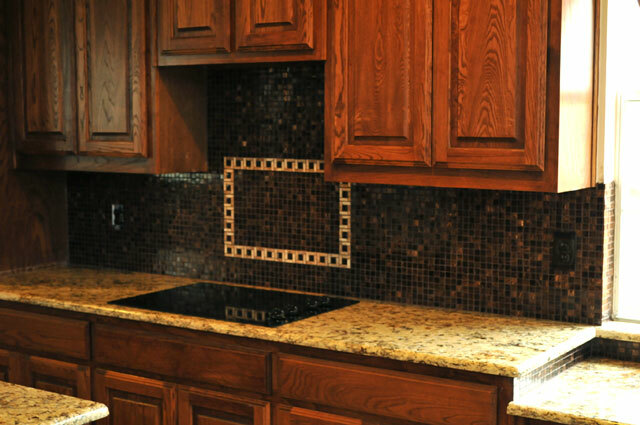 The perfect compliment to your brand new Granite Countertops is a coordinating Tile Backsplash. 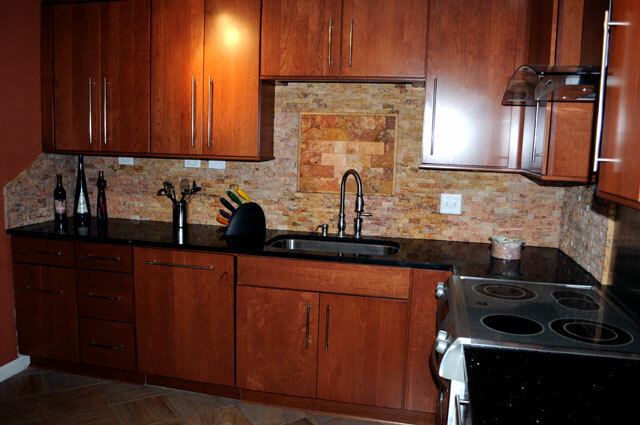 A backsplash serves an important purpose in keeping water from damaging untreated walls and wood walls. 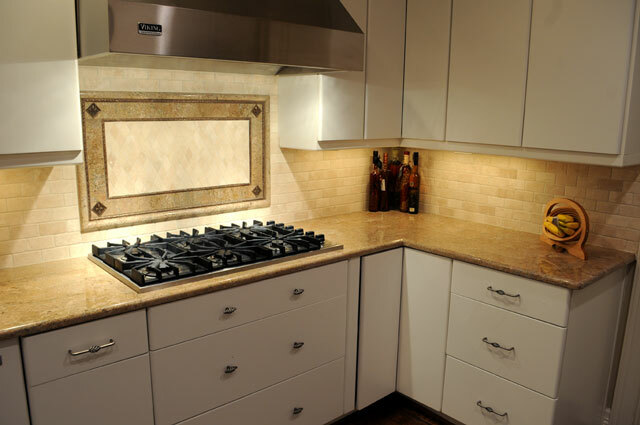 By utilizing various tile materials you can also tie in your countertops, walls, floors and cabinets. 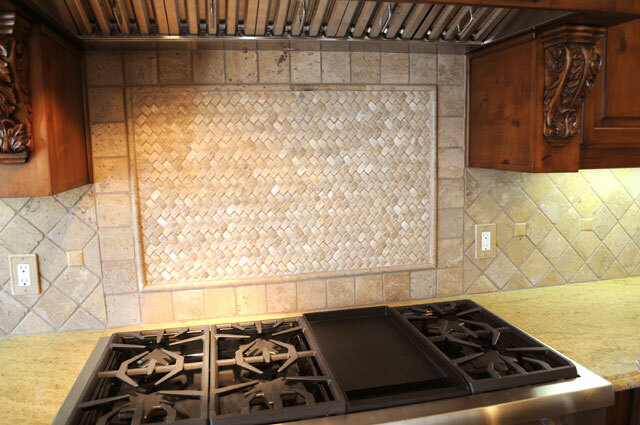 In order to help you choose a tile backsplash, let’s first go over popular tile types and shapes. 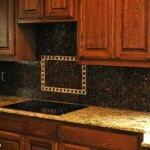 In this section we will go over some of the more popular types of tile backsplash material applications. Depending on the style you are trying to achieve, certain types may be better suited for your project when you choose a tile backsplash. Subway Tiles can be summed up like this: Timeless & Classic. A favorite amongst designers and custom home builders, Subway tiles can lend its visual diversity to both small and large spaces. This style (typically in 3″ x 6″ sizes) can add a sense of forward motion to any space. Popular materials are Tumbled Stone and High Gloss White Porcelain. 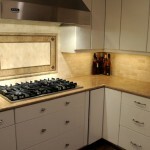 Square Shaped Tiles are standard issue for virtually any project on a budget. 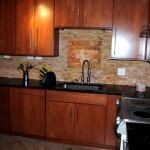 These tiles are available in a multitude of colors and sizes. These types of tiles come in what seems is an infinite number of shapes, colors and materials; given today’s technology, the possibilities are endless. 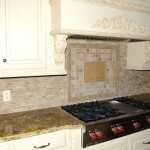 In this section we will go over Backsplash Materials. 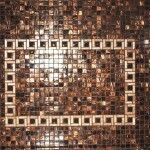 There are hundreds if not thousands of tile materials out there, we will look at some of the more popular kinds. The classic warmth and natural feel of tumbled stone tiles has made this the most popular material in most of today’s homes. The most popular material used is Travertine, a calcium based stone. Other tumbled stones can be found in materials made of Marble, Granite and slate. 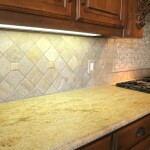 Most natural stones also come in a tile size as well as slabs sized for countertops. These can be found at most popular tile outlets. 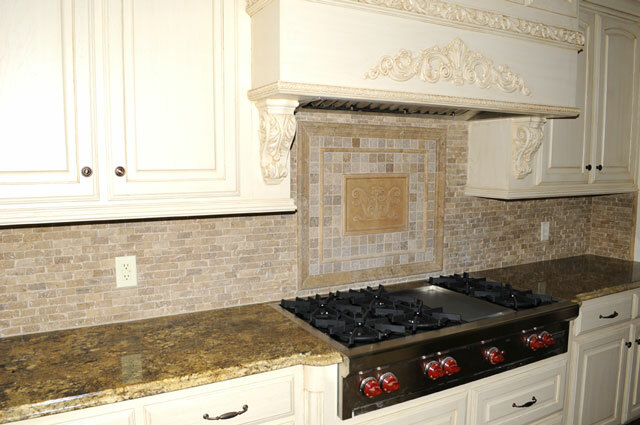 Granite Fabricators such as StoneTex, LLC can even use the left over material from your countertop installation to be inserted into your tile design as accent pieces for an additional charge. 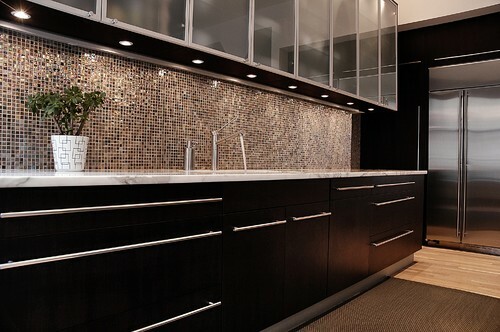 Glass tiles can add a unique look to your design either as an accent or as an overall backsplash application. 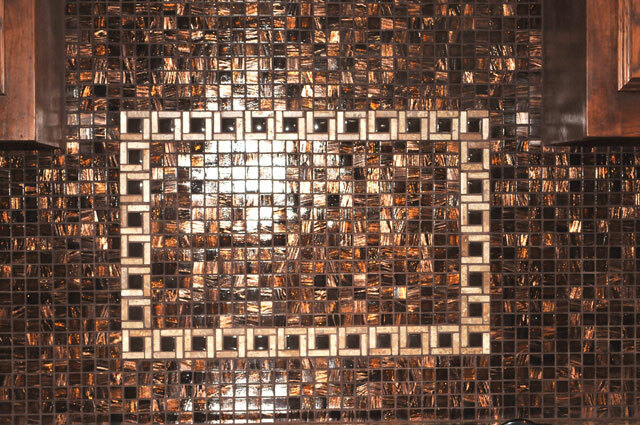 Glass tiles can appear translucent and come in many bold colors and patterns. These types of tiles typically come in patterns glued to a 12″ x 12″ mesh backing which can be further cut down to be used as accent tiles. We have gone over the most basic tile types and materials. 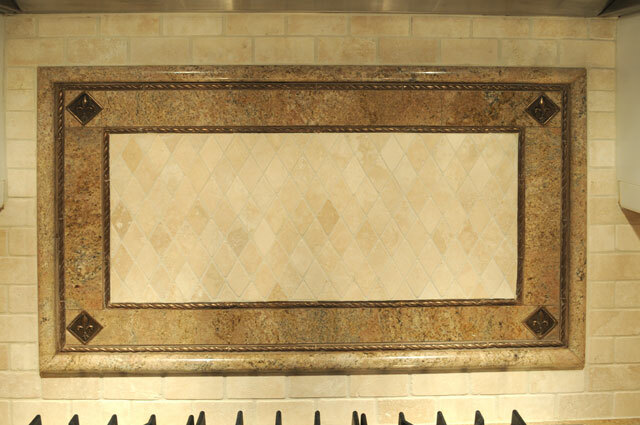 This should give you a solid foundation when you begin to choose a tile backsplash. 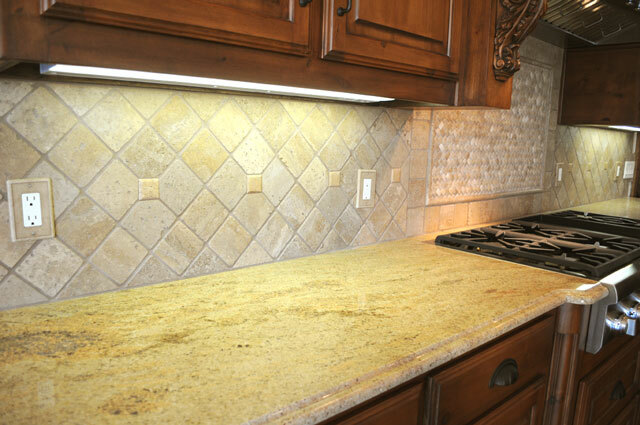 The next step in your project should be to search for colors that match and compliment your Granite Countertops. It would be next to impossible to cover all the design possibilities when it comes to tile (as referenced in the houzz.com article below). 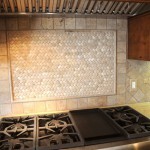 Choosing a Backsplash: It’s Impossible! With that being said, it’s not actually impossible as you now have a solid understanding of what is readily available when you are ready to begin your research. This information should help you make a more educated and confident decision. Good luck out there in your search! 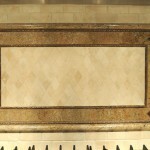 Here is a selection of Tile Backsplash Designs to help kick start your design and choose a tile backsplash.